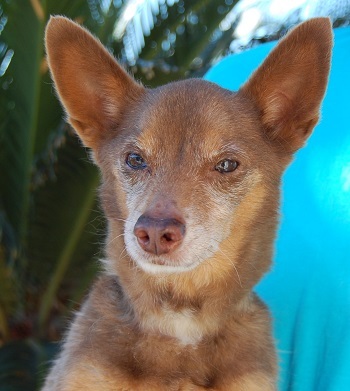 ***ADOPTED*** Kind senior, chocolate & gold & white Chihuahua, neutered boy, 14 years. Donnie pleads for gentle compassion. He is wise, calm, and amiable. We rescued him from another shelter. Please help find Donnie a hero.